Live Chat is only available to Premium support members only. To access live chat, you will access it in the lower right hand corner of this page, or click here. 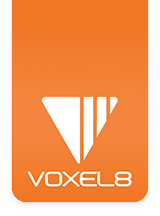 You will need to supply your unique, Voxel8 Developer's Kit Serial Number. If you are unable to reach us, then please submit a ticket so our support team can follow up with you as soon as possible (typically within 48 hours). Thank you for your patience, and we hope to get your issue resolved as quickly as possible.